The kind of fame and success The Rolling Stones have achieved in their 50-years and counting career is without parallel; their most famous riffs and catchiest lyrics are indelibly engraved in our collective memory. With their bluesy rock ‘n’ roll and mesmerizing off and onstage presence, the Stones redefined the music of the 1960s and 1970s and paved the way for rock as we know it today. They also set the standard for how a rock band should look and behave. 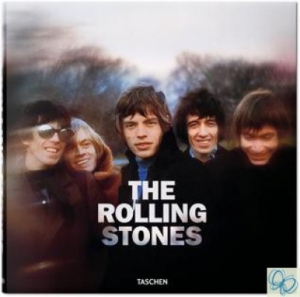 Produced in close collaboration with the band, this book charts the Stones’ remarkable history and outrageously cool lifestyle in over 500 pages of photographs and illustrations, many previously unseen, and gathered from archives all over the world. Unprecedented access to the Rolling Stones’ own archives in New York and London adds an equally extraordinary, more private side to their story. For Mick, Keith, Charlie and Ronnie this is their official photographic record.